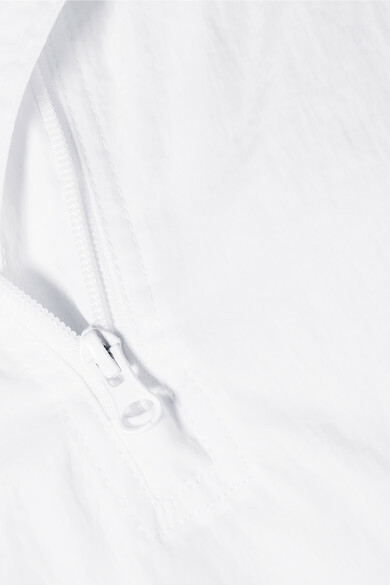 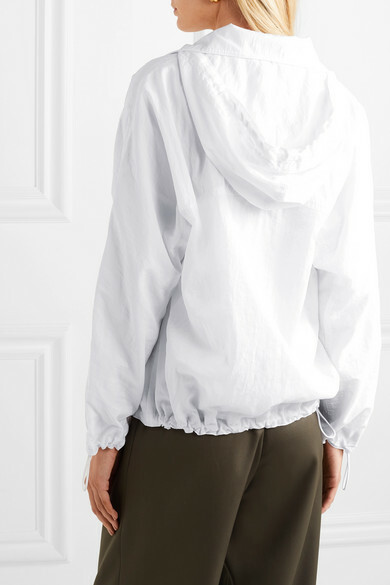 Vince's white windbreaker jacket is made from lightweight shell that's ideal for rainy days. 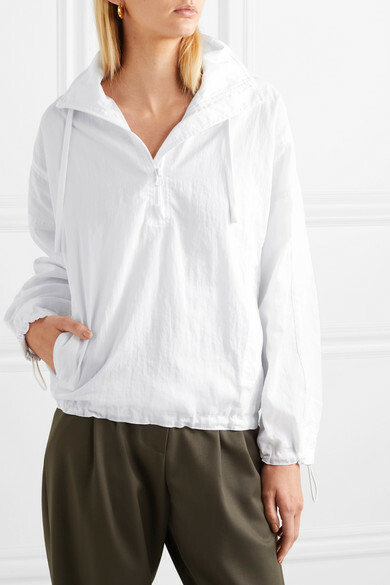 The loose fit can be adjusted by pulling the drawstring toggles tight at the waist and cuffs, which helps keeps out the chill, too. 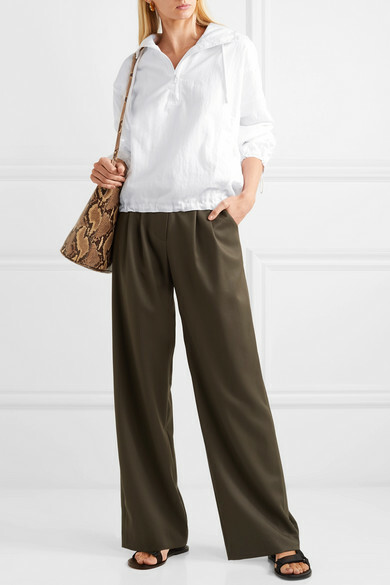 Shown here with: LOW CLASSIC Pants, TL-180 Shoulder bag, Vince Sandals, Leigh Miller Earrings.